February is going to be a pretty big month of concerts for us! We are going to be seeing three of our favorite bands this month and travelling to Salt Lake City twice and Las Vegas once. 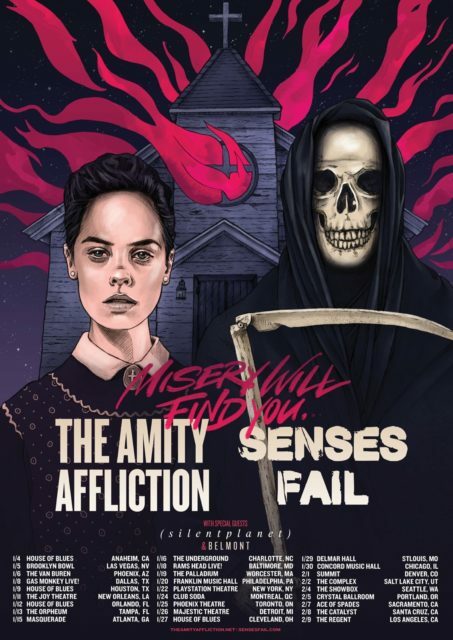 We are starting this month of music off tonight by seeing The Amity Affliction at The Complex in SLC! We also have VIP tickets to meet the band before the show, so it should be a good time!